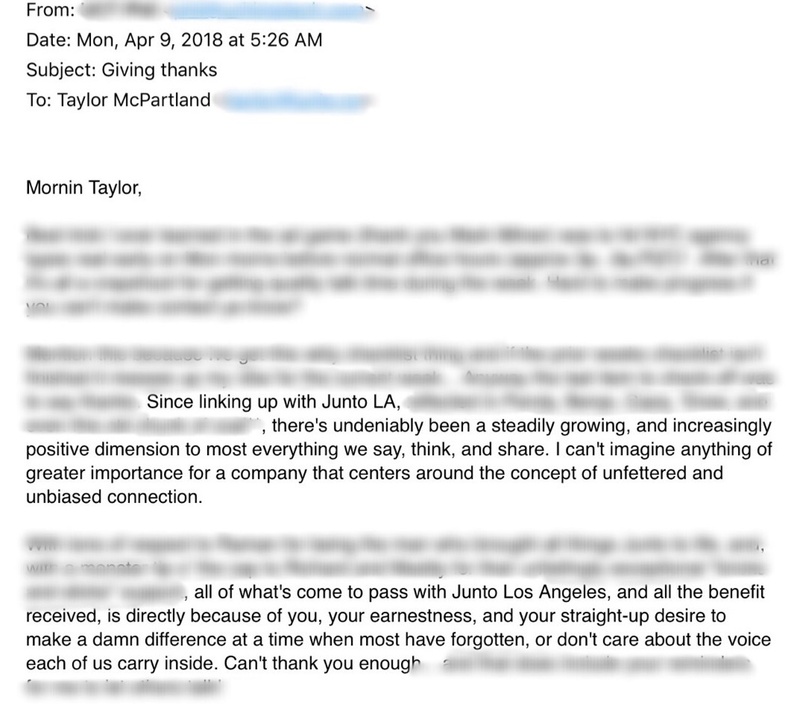 On Monday morning, Taylor McPartland, our Managing Director in Los Angeles, received the following email from one of the Apprentices in our JuntoLA program. Needless to say, it was gratifying for our team to read these words and see that one of our customers has such deep appreciation for Taylor's efforts. What made the email even more fulfilling was that this company founder - who has more than 20 years of professional experience - helped validate that learning emotional intelligence together can actually make a team better, and that the improvement can happen fairly quickly. After all, the JuntoLA program began less than two months ago. So we're eager to see how much more this team - and the others - are going to improve over the remaining seven months.